The CR-Z hits 2016 with some refreshments inside and out. Push-button keyless start and a touchscreen infotainment interface are standard on all CR-Z models. A new blind-spot monitor becomes available on upper trims. The 2016 CR-Z features a sporty look as well as a high-tech powertrain, both of which are sure to please enthusiasts and eco-minded drivers alike. The front-wheel-drive, 2-seat hatchback features aggressive exterior styling that makes it look fast, even at a stand-still. 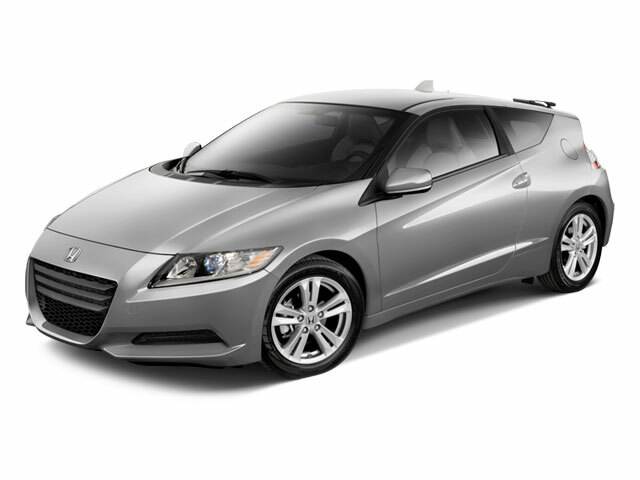 The engine is the heart of the CR-Z, and power comes from a 130-horsepower, 1.5L inline-4 cylinder. The unit boasts 16 valves and Honda's proven i-VTEC variable timing. Honda's Integrated Motor Assist (IMA) incorporates an electric motor that develops an additional 13 horsepower. A lithium-ion battery pack mounted low in the car provides an optimal center of gravity and provides the electric motor with enough fuel to make great low-end torque for spirited acceleration. This powertrain is available with either a 6-speed manual or a CVT, a choice unusual among hybrids. The CR-Z allows drivers to choose one of three driving modes: Normal, Sport and Econ. The different settings change the car's engine mapping and throttle response. Sport maximizes engine performance while Econ maximizes efficiency. Like the Insight, the CR-Z display provides an Eco Guide and Eco Score for each drive, which can help "teach" the driver to achieve the best possible fuel economy. 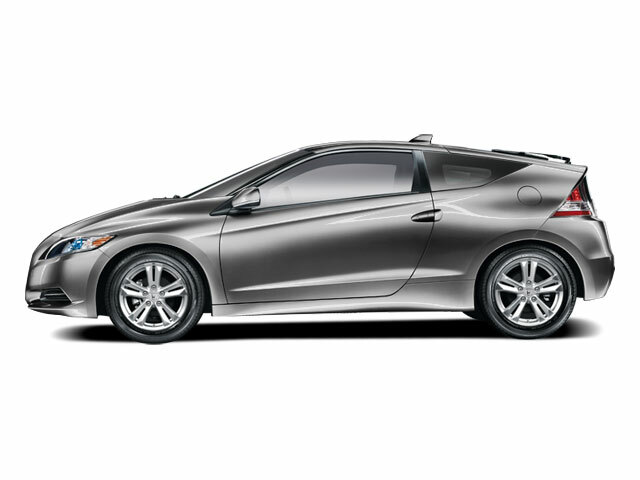 The CR-Z is an agile, stable handler with superior ride quality, thanks not only to its low center of gravity, but also because of its wide stance, low height and its specially tuned independent front and torsion-beam rear suspension. Two CR-Z trims are offered, and amenities set them apart. The base trim includes LED brakelights, tinted glass and power mirrors, windows and locks. Inside there's an ergonomic and highly functional interior like no other, with automatic climate control, cruise control, tilt/telescopic steering wheel, a 12V outlet, silver mesh sport seats and a 160-watt CD stereo with MP3 capability, a USB interface, Bluetooth hands-free connectivity, a 7-inch touch-screen interface with smartphone integration, a rearview camera and speed-sensitive volume control. The CR-Z EX adds LED daytime running lights, HID headlights, fog lights, heated side mirrors, a leather-clad steering wheel and shift knob and polished metal accents with aluminum pedals. The EX also comes with ambient lighting and a 360-watt, 7-speaker premium stereo. 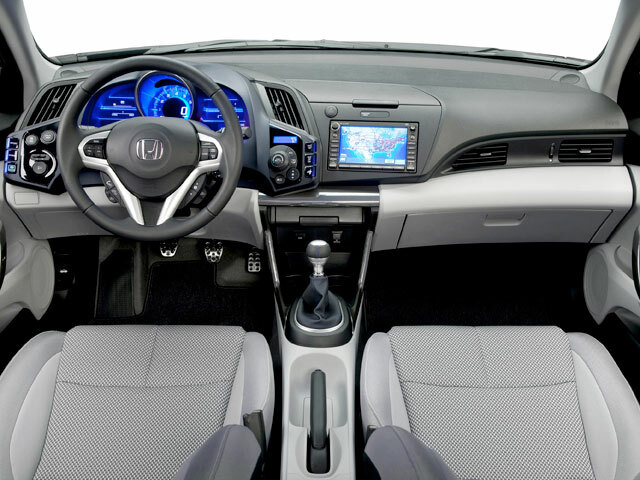 Navigation is optional on the EX and comes with voice recognition and traffic awareness. It is packaged with leather seat trim. Advanced safety features are a given in the CR-Z -- front and side airbags are standard, as are active head restraints, anti-lock brakes with electronic brake distribution and brake assist, stability and traction control and a tire pressure monitoring system. 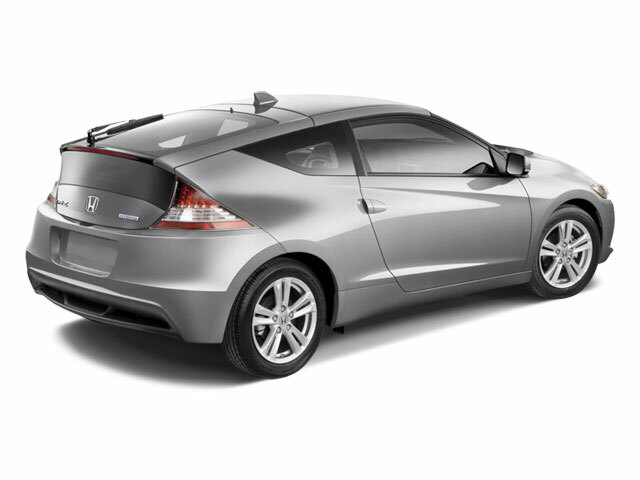 The Honda CR-Z is based on the Insight platform, and Honda bills it as the "world's first sport-hybrid." Styling is reminiscent of the much-loved CRX of the 1990s, but updated to Honda's current design language and beyond, with an aggressive nose and sweeping angles. Power comes from a 130-horsepower, 1.5L engine and Integrated Motor Assist (IMA), a DC brushless motor that adds another 13 horses.